Solid Brass Rectangle Address Plaque, shown in bronze, are hand crafted in the USA and are made from the finest materials on the market. Each of the Solid Brass Rectangle Address Plaques are made with pride from start to finish by the same skilled craftsmen in order to achieve a quality that is unmatched in the industry. 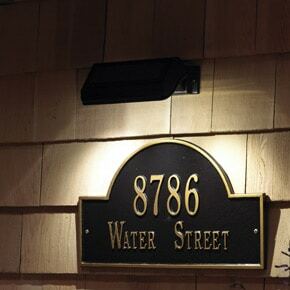 Majestic Solid Brass plaques are constructed utilizing the latest technology in order to achieve the finest looking & longest lasting plaque line available. 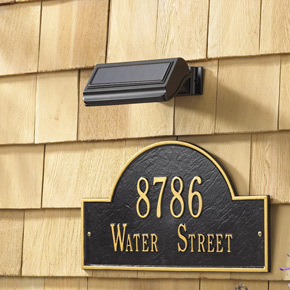 The finish on our plaques are second to none, we use a UV stable polyester powder coat that is designed to withstand the harshest of elements, will not fade, chip, or peel like the inferior painted plaques that you see on the market. 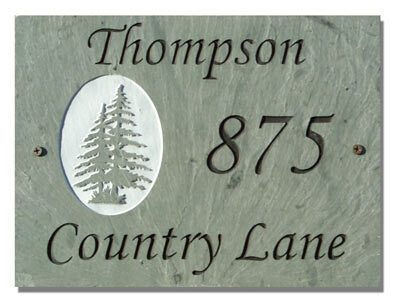 All Majestic plaques are solid castings utilizing the finest alloys available. 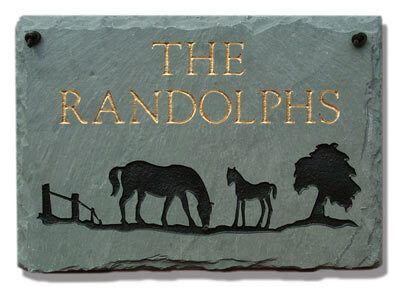 We take pride in manufacturing the finest solid cast brass plaques available. The finish applied to our plaques is the best in the industry. We use a UV stable powder coat that is far superior to the cheaper painted versions that you see on the market. Powder coating was designed and developed to out perform paint, especially in the coastal regions where salt has proven to be the number one enemy. 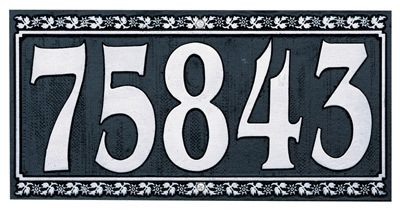 The Rectangle Solid Brass Address Plaque holds up to five 3″ characters on 1st line and up to fourteen 1″ characters on 2nd line. 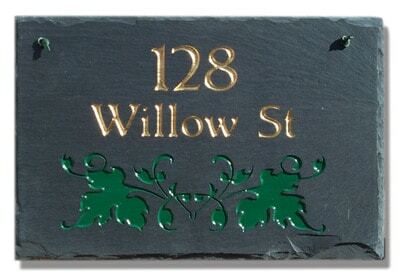 View more Brass Address Plaques.